Skill, and plenty of it, highlights this year’s Team Tribune Recorder Leader for girls basketball. The team, honoring players from the Tribune’s coverage area, is packed with veteran players including perhaps the top two players in the Thumb area. 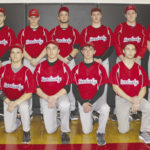 Sandusky, who collected another league and district championship along the way, made a great run in the post season before bowing out in a heart-breaking double-overtime loss to Flint Beecher. Marlette battled the Lady Redskins down to the wire – with the GTC-East title on the line, in the final regular season game of the year. The Lady Red Raiders stunned the Redskins on Sandusky’s home floor and had a shot to claim the title away from the defending champs. Meanwhile, Deckerville had the misfortune of being matched up with state power Kingston in a rugged NCTL, but still managed to have a solid season. Leading Team Tribune is Sandusky senior Haley Nelson. 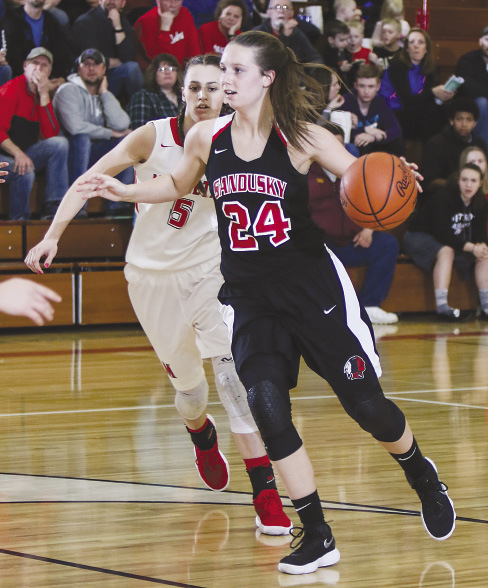 The four-year starter has experienced nothing but success in the Lady Redskins program and eclipsed the 1,000 point scoring mark in her career. Nelson led the team with 279 points, averaging 14 a game along with nine rebounds per game. 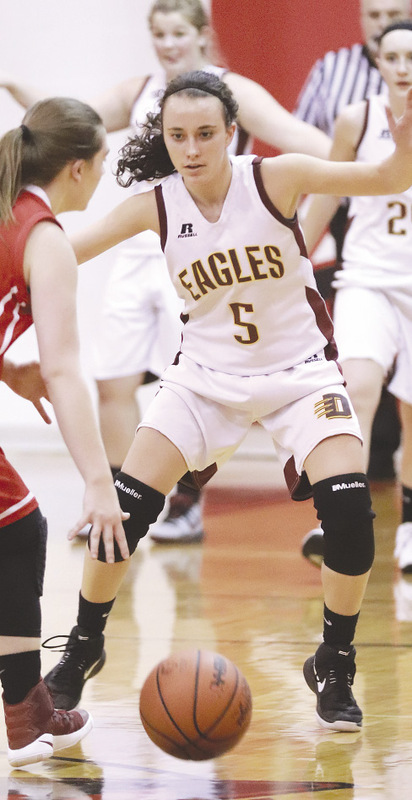 She had a season high 21 points when her team knocked off Marlette for the league title. Gabby Gough, a standout junior, provided Sandusky with a solid one-two punch both offensively and defensively. Gough averaged 11 points and 7 rebounds per game and had a season high 21 points in a win over Cass City. She, like Nelson, had a deadly touch from three point land and also dominated play in the paint. A peak into the future of Sandusky basketball may have come from Sixth Player of the Year nominee Abby Bolsby. The first year varsity player averaged five points and five rebounds per game and is on Coach DeMott’s radar for future plans for his team. 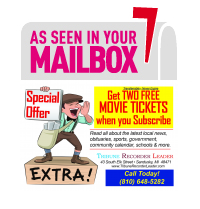 “Abby had a great year for us,” DeMott noted. “She averaged over 5 points and 5 rebounds per game for us off the bench and had a couple double-doubles. Her defense was outstanding. In the GTC Title game at Marlette she guarded Emily Schaub for a good part of the game and did a great job on her. Abby is also a very good passer and ball handler. If we were struggling we would bring her in to the game and she always gave us an instant spark on both ends of the floor. 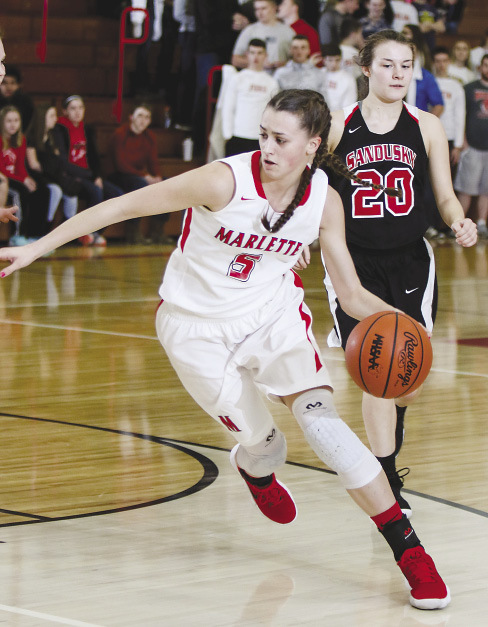 An outstanding basketball career came to an end in Marlette where standout senior Emily Schaub completed her long tenure in the program under Coach Cathy Storm. 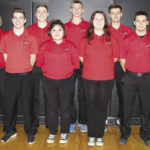 Schaub was best known for her scoring, both from three-point land and free throw shooting, but added a new phase to her game this past season. Schaub became a solid defender and worked on her short game, making her even more of a threat with the ball. Teammates Sydney Parker Noble and Hallee Reed had solid supporting role seasons for the Lady Red Raiders with Reed returning to the team after a year off. When teams double-teamed Schaub, both Noble and Reed picked up the scoring slack and kept their team in the league race to the very end. Deckerville senior Madisyn Guza is no stranger to the basketball court, starting out as water girl when her sister Jessie and her classmates began playing in high school. She began her varsity career as a freshman. Senior members Charlotte Schulz, Liz Binder, Julia Flanagan, Kaylnn Shuz and Haleigh Foote were all contributing factors in an overall successful season.